We all know that Apple started the sales of the new iPhone 5s and iPhone 5c from September 20th, 2013. This year is also not different for Apple as the model is now on the way to break its own records. Most of the people are not complaining about the new models however some are saying that iPhone 5c is actually not that much economical. Earlier people were expecting that it should be affordable but the price is actually not less. Here we are discussing the complete details of these two models for you to check and decide if you really want to go for it or not. This iPhone 5s is an improved version of previous iPhone model. It is more powerful in comparison to iPhone 5. This is the premium model by Apple this year and you can certainly trust the device in terms of its performance. It looks attractive as the round corners with superb finishing make the smartphone special. The overall length is such that you may not face any issue while using the gadget. The dimensions are 4.87×2.31×0.30 inches and it weighs 112 grams. Screen-size of 4 inches is same as before and the resolutions are 640×1136 pixels. Pixel density of the gadget is 326 ppi. The iPhone 5s has a dual-core processor plus it has some attractive features like Airdrop file sharing, TV-Out and many more. Internal capacity of the model is 16/32/64GB and the available RAM is 1GB DDR3. We have seen earlier also that the ‘s’ series smartphone is an improved version of the previous model and this model is also the same. Screen size is not different but quality of camera is better than the previous model. Power of the CPU is better here and if you check 3-D graphics then you will certainly the feel the difference. All these sections are giving superb performance. However many people are talking about the battery of this model. They are not satisfied with the performance of battery. Heavy users may find some issues while using the device. Moreover many are not satisfied with the performance of LTE network also. 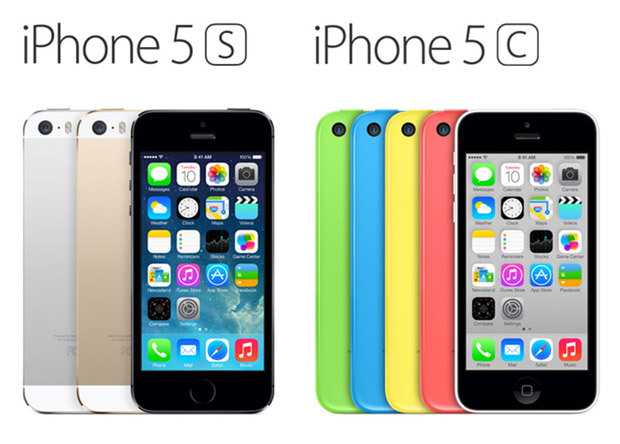 It was earlier expected that iPhone 5c will be much economical and most of the people would be able to use it. However it is not like that. It may still out of reach for some people. The dimensions are 4.90×2.33×0.35 inches and the weight is 132 grams. Size of the screen is 4 inches and pixel density is 326 ppi. Resolutions of this model are 640*1136 pixels. It has Apple A6 chipset and operating system is iOS7.0.1. The model has a dual-core 1.3GHz processor and it has a non-removable 1510 mAh Li-Po battery. It has a number of color options like White, Pink, Yellow, Green and Blue but it does not have the Black option. The model is not that much economical. Many may feel that the model is not that much different from anyone. iPhone 5s is the premium model and it is available in White, Black and Gold color. So do not forget to check all these sections before you purchase it. These details can help to check the gadget appropriately.